Looked like the right part, I just could not figure out how to get the generator apart to install it. 5 stars for Jack's tho, I got the parts I wanted, but when I could not use them, so helpful getting a return. thanks! 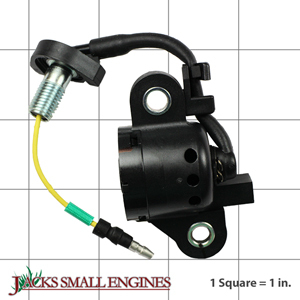 Ask us about the Honda 15510ZE1043 Oil Level Switch. Please no repair questions. Your Q&A may be posted to Jackssmallengines.com to help other shoppers, like you, with their purchasing decisions. Thank you.